The Innovator’s Path – How Individuals, Teams, and Organizations can Make Innovation Business-as Usual by Madge M. Meyer is an insightful and intriguing cross-cultural look into unique perspectives on how innovation happens and leaves readers uplifted by the wonder of “cross-cultural phenomenom,” a term that has become synonymous with the author. 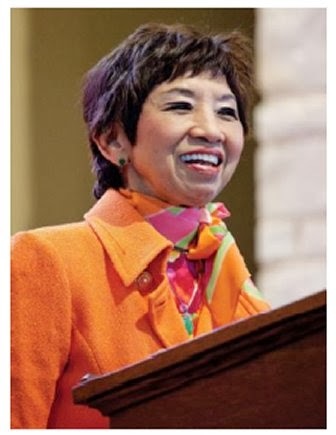 Meyer shares how her experiences including her family life in Asia-- born in Shanghai, China, and then moving to Hong Kong in her teens -- have influenced her as leading business innovator. Meyer’s eight chapter book introduces eight essential disciplines -- Listen, Lead, Position, Promote, Connect, Commit, Execute, and Evolve -- in a very unique yet practical way; Besides the creative theme Chinese Ideograms alongside each opening chapter title, Meyer shares her thought processes, approaches, and her experiences behind her successes and innovations. Also included are Meyer’s interviews with many prominent business leaders, who were also contributors to her book. I was particularly impressed by the way Meyer shares how her mother’s advice “Love life and love people,” has taught her to become a better negotiator and to build trust with people in business, and develop mutually supportive relationships which ultimately lead to valuable lasting connections throughout her business career and in her personal life. The big smile factor in the book was when Meyer shared a story of when one of her colleagues, a CEO of a technology company was referred to as "Santa Clause" for all the innovations he contributed to his client. 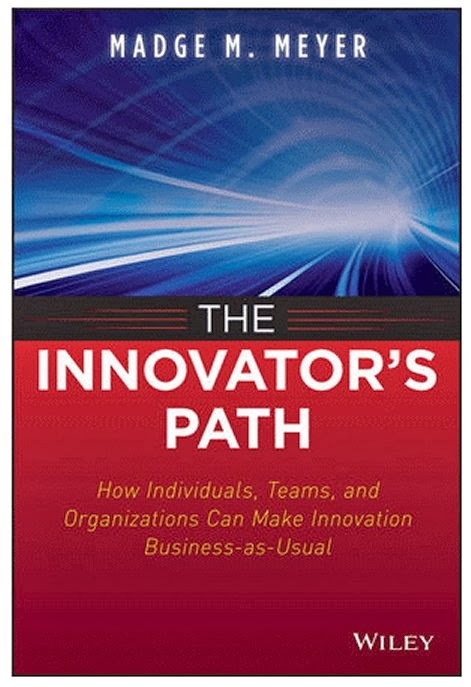 Whether you are seeking to improve on your career, your company’s product, or have an idea you want to expand, The Innovator’s Path by Madge Meyer will provide you with the knowledge, strategic thinking and wonderful stories behind innovations that will motivate and inspire you to want to move forward in your projects. The Innovator’s Path – How Individuals, Teams, and Organizations Can Make Innovation Business-as-Usual by Madge Meyer is on sale now. GBDaly exclusive "Smile Rating" (c) 2013 created and conceptualized by Gloria Buono Daly.